MORRIS PLAINS, N.J., March 1, 2018	(Newswire.com) - MORRIS PLAINS, N.J., March 1, 2018 (Newswire) -Weichert Workforce Mobility, a global leader in the deployment and management of mobile talent, has conducted the first major study of how the U.S. Tax Cuts and Jobs Act will impact corporate relocation. The study reveals that although the new law changes the status of several move-related expenses that were previously tax-deductible, corporate commitment to talent mobility remains strong. Of the 211 companies participating in Weichert’s study, 89 percent expect their mobility volume to increase or stay the same in the coming year, despite the fact that tax-protecting formerly deductible expenses will raise mobility costs. The fact that relocation remains a top priority for our respondents indicates that they are not willing to let the tax law define their mobile talent strategies. Sullivan also notes that a number of respondents are viewing the additional tax costs holistically, finding balance between lower corporate tax rates and higher tax gross-up costs. 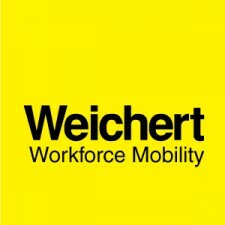 Weichert is the only relocation service provider with its own in-house tax practice, giving the company unique insight into how corporate mobility managers are dealing with the impact of the new tax law and adjusting their programs. “On the tax practice side, we’re seeing increases in business traveler and short-term assignment volumes and we anticipate more of these moves as the U.S. corporate tax savings spurs business growth and talent deployment,” said Matthew Pascual, senior vice president of Weichert Mobility Tax Services. With the new law increasing overall tax gross-up costs, the majority of companies are choosing to tax protect core relocation benefits. Ninety-six percent of the respondents who are making changes to policy will be tax-protecting household goods shipments, followed closely by final move expenses (94 percent). Although no longer required by the new tax law, 86 percent of companies are keeping the distance and duration eligibility in place for mobile employees. Mobility managers had less clarity on how they will approach international policies with a U.S. tax obligation; 39 percent of these companies are not yet sure if they’ll make changes. Ellie Sullivan is available to speak on the survey results. To arrange an interview, or receive a copy of the results, contact tmccarney@weichertwm.com or 781-982-5026.